After watching this guy play this guy in the movie Jobs the other night, I walked home with "what if" questions bouncing around in my head. What if Steve Jobs and his team had designed a bollard? What would it look like? How would it function? Would it be called the iBollard and have such coolness that every store and strip mall on the planet would want a row of them out front? 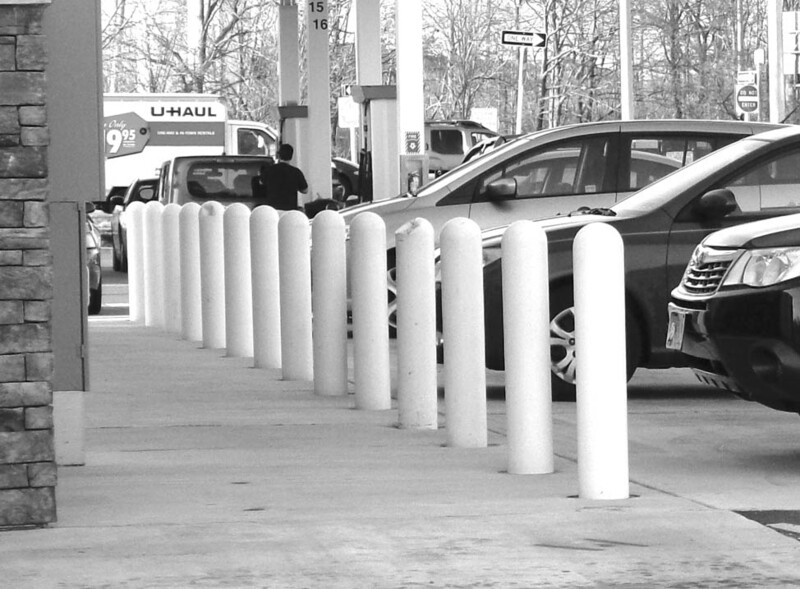 What if iBollards beamed wireless signals to our mobile devices as we drove by to beckon us inside, or synced briefly with our vehicle's onboard computer to generate the aroma of coffee or pizza (using an 'iScent' chip embedded in the car's HVAC system)? What if retail developments could be re-imagined and re-invented to be both inviting and safe, attracting people while protecting them from moving vehicles? What if we were able to create a scholarship or fellowship program in which young men and women full of fresh perspective, unique vision, and a hunger to challenge the status quo could spend some time doing that re-thinking? OK, so it was a really long walk home from the theater, and maybe I was getting a little wacky, but...maybe that's what we're supposed to do after watching a movie like Jobs: think. Mark -- This is an awesome (and challenging) post! With new performance test standards coming from ASTM, this should really challenge folks to look outside the box - er, tube - and we might be very surprised at what happens in a very short period of time. Beaming wireless coupons to folks as they park there cars to enter your convenience store based on time of day -- BRILLIANT!